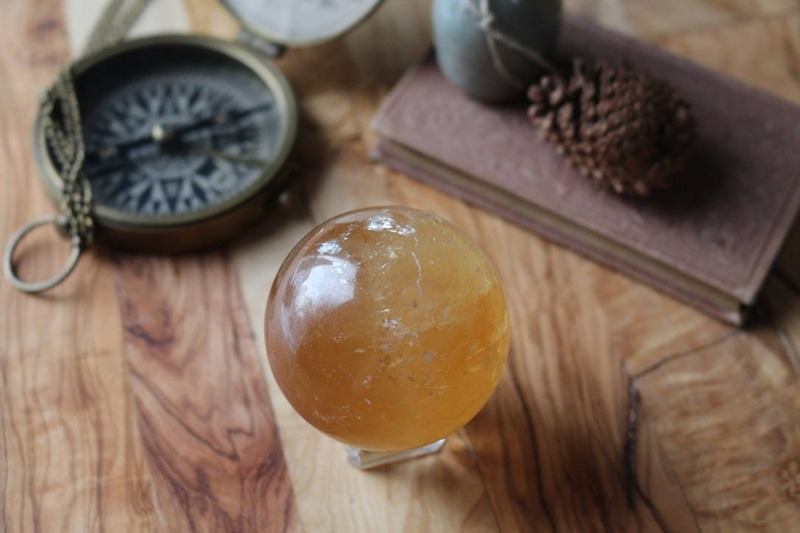 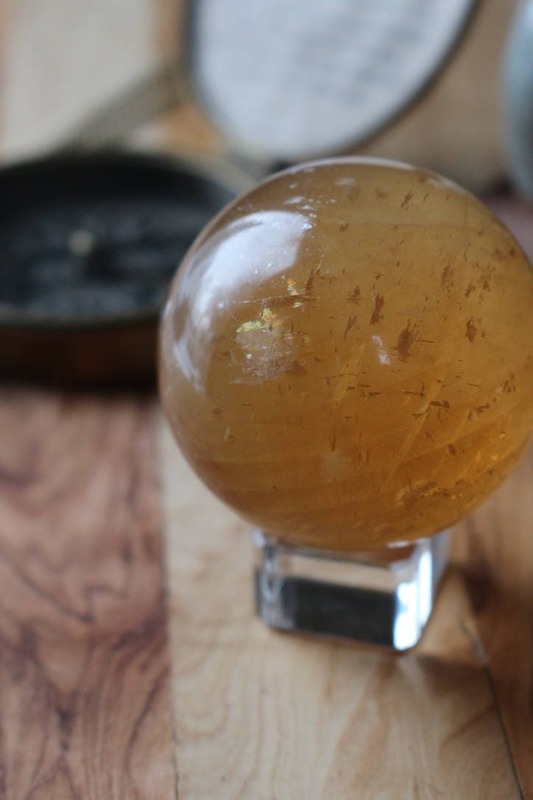 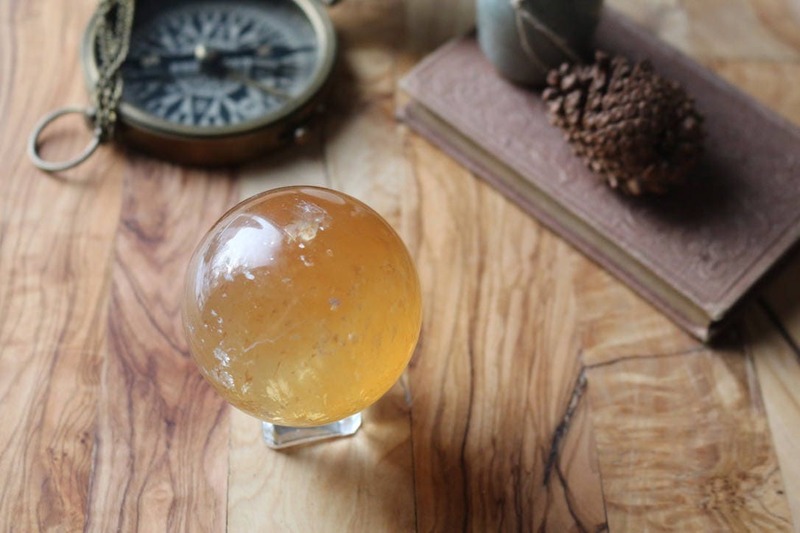 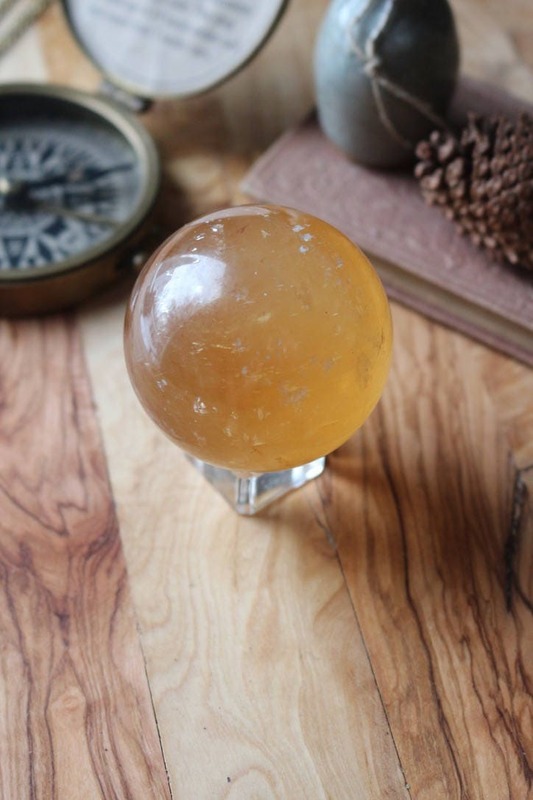 A rainbow filled Honey Calcite Sphere that's a gorgeous naturally dark golden/orange color. 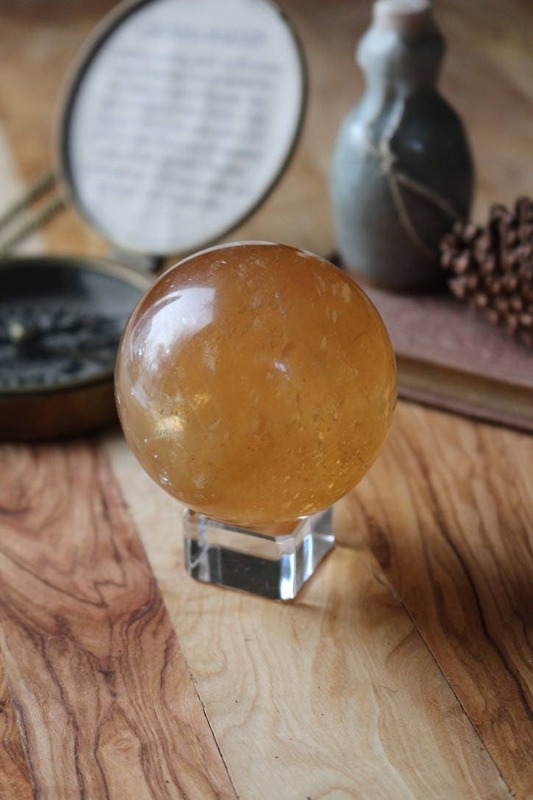 Golden Calcite, also known as Honey Calcite, is an energizing crystal tool which helps in attracting and connecting with people in friendship and business. 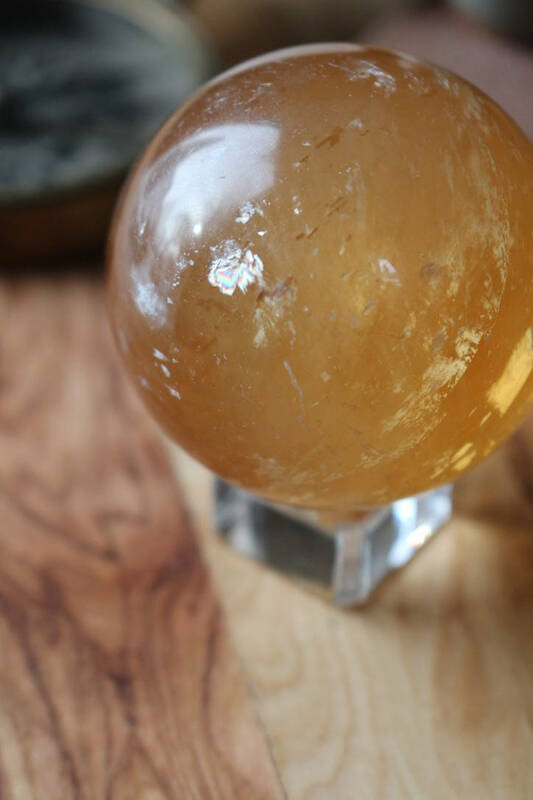 Golden Calcite stimulates mental activity and grounds one into the physical body. 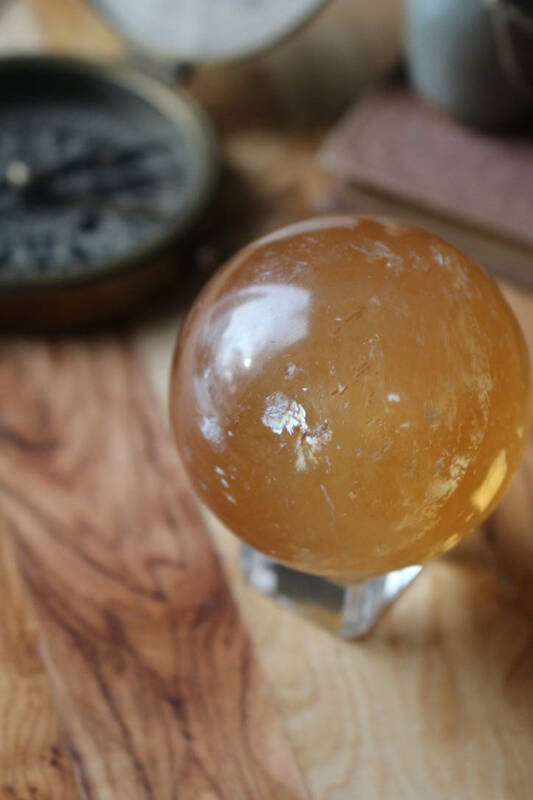 It helps one to re-think and define self-limiting belief patterns and is an excellent crystal tool for meditation. 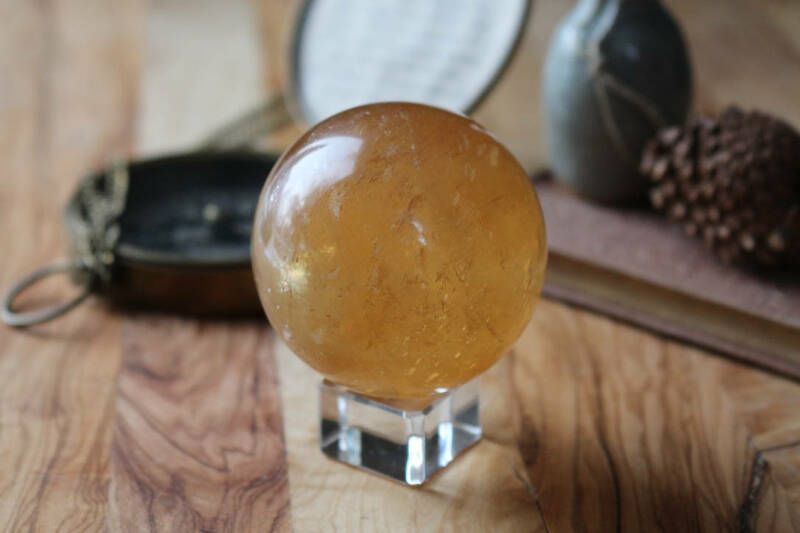 Golden Calcite can be helpful in removing negative and non-productive thoughts which inhibits growth. 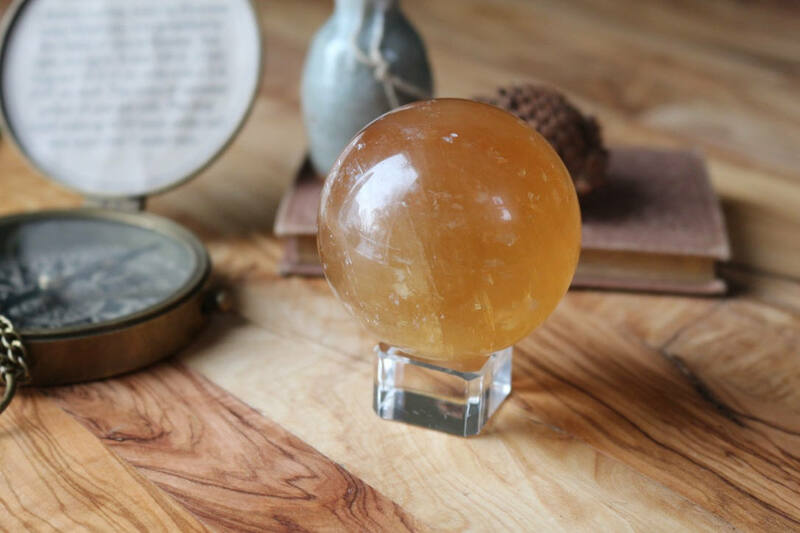 "The Vikings could have discovered this, simply by choosing a transparent crystal and looking through it through a small hole in a screen," study researcher Guy Ropars wrote in an email to LiveScience. 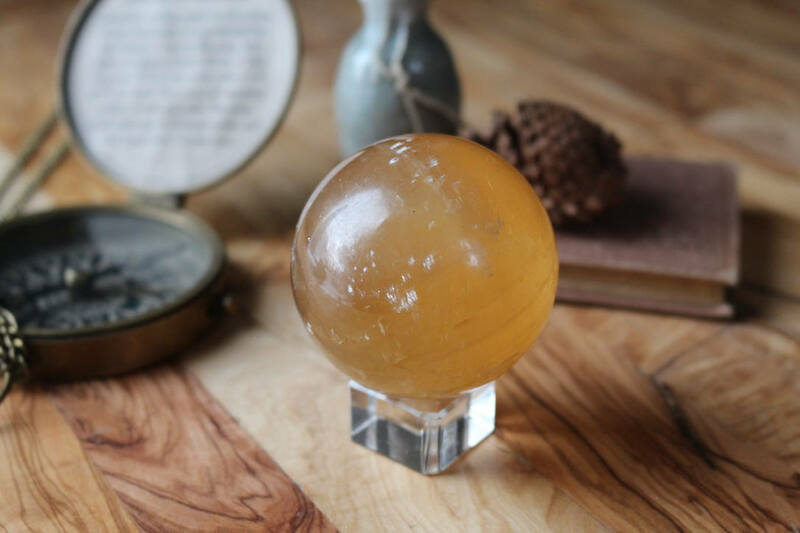 "The understanding of the complete mechanism and the knowledge of the polarization of light is not necessary."